The lioness, Amelia, has just given birth. Now that the rainy season is beginning, we had to dig and winch ourselves out of a good share of mud on our journey to find her. We finally found her under this palm tree with her newborn cubs. We could only briefly hear the cubs today but we hope to report back soon on these exciting new additions to the Gorongosa family. This is the quintessential face of Gorongosa lions…highly elusive, wild animals that are very difficult to locate. The GPS collars we deploy go far beyond just being a research tool… they are our “conservation anchors,” and they help us save lives. Tracking groups weekly, keeping them out of snares and hands of poachers, deploying our rapid-response vet unit effectively, and of course keeping track of precious young cubs. Trail camera photos also help us capture candid photos of lions in their habitats. You can learn more about how we use these tools by watching this video. I am proud to say that I just passed my driver’s test! Getting a driver’s license is something that not many Mozambicans have an opportunity to do. 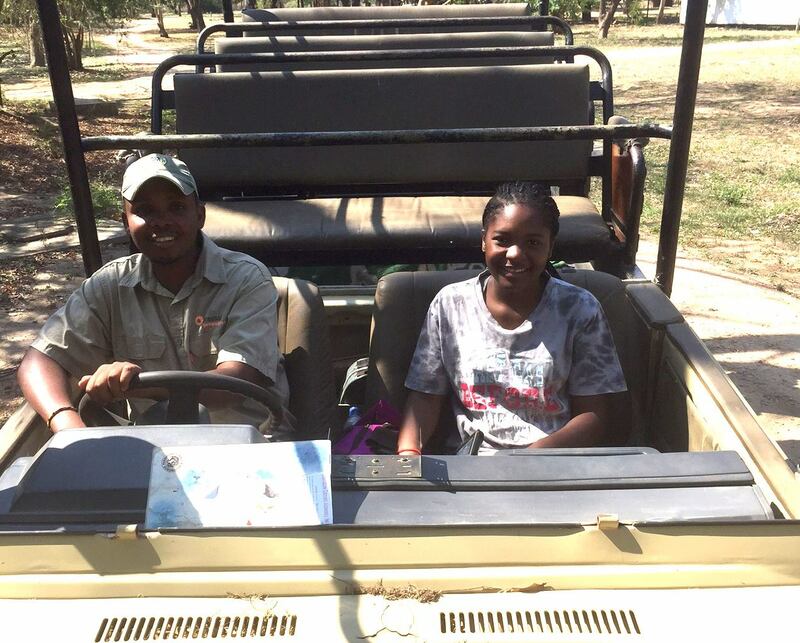 I feel very fortunate that the Gorongosa science team has supported me in taking driving lessons and passing the test! This is not just a great personal achievement for me, but it is also so important for the work that I do. Paola Bouley usually drives all of us on her team to do field work, but now that the team is growing and the area to cover is so large, we can divide and conquer! 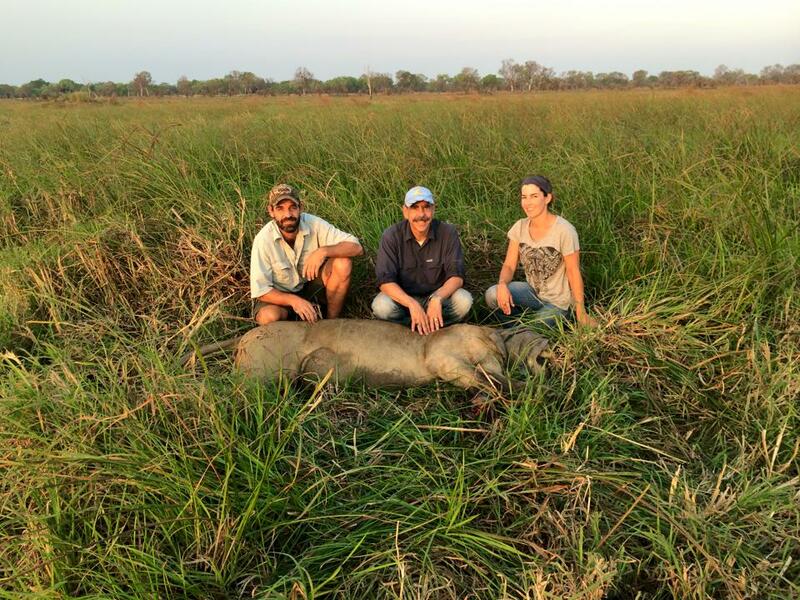 With this new skill, I look forward to helping lead the Gorongosa Lion Project researchers for years to come. Wire snares are traps that poachers set to catch antelopes for food, but snares don’t discriminate between an antelope and a lion. Sometimes lions are the unfortunate victims of snares. 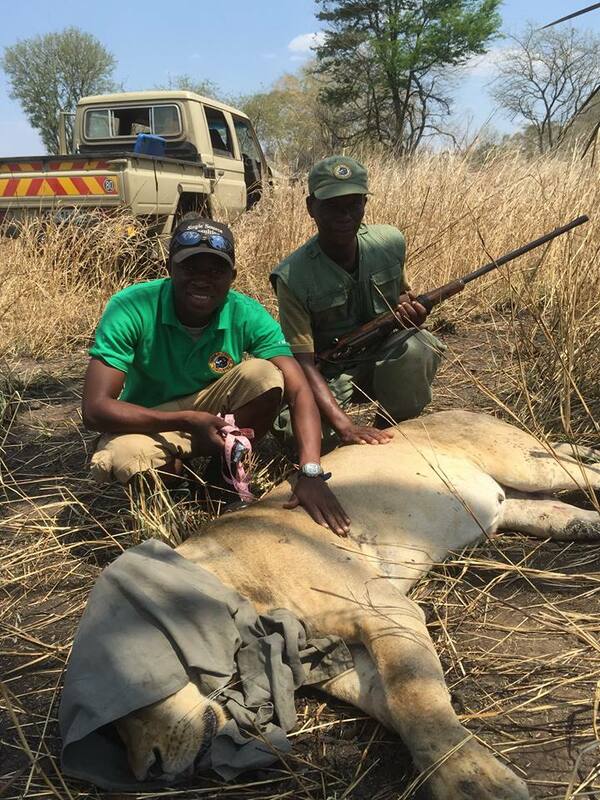 Our rangers and vet team are called out to save these lions all too often and today was no exception. 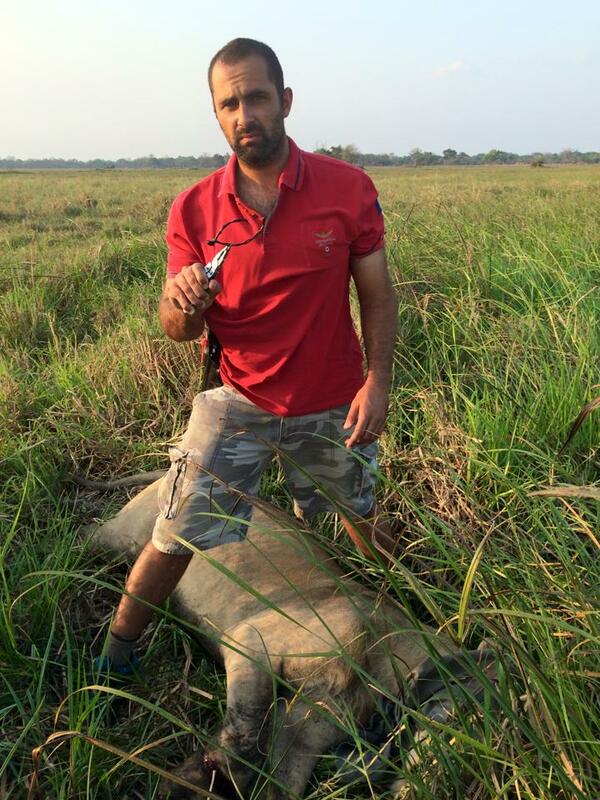 Our vet, Rui Branco, organized an operation to tranquilize a coalition of two male lions, one of whom had a snare around its leg. Rui gathered his team, helicopter pilot Mike Pingo, colleague Louis Van Wyk, and our own Paola Bouley to fly out to a remote area in a Jet Ranger helicopter. Rui successfully darted both males, put GPS collars on them and removed the snare from this adult maneless lion we’ve named “Jatu”. This is another life saved, and a new group of lions to keep under our watchful eye. 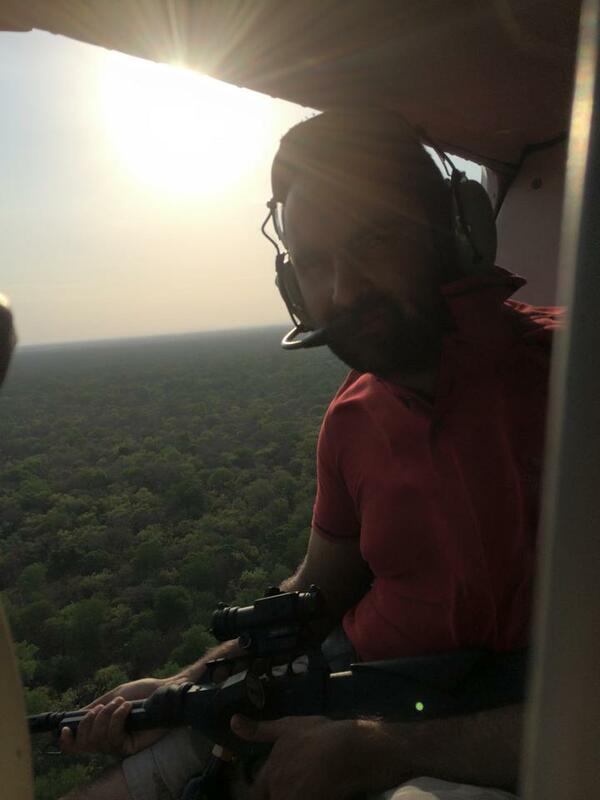 Rui Branco darts the lions from the helicopter. Rui Branco removes a snare from Jatu. Louis, Mike, and Paola with the new male that we’ll be tracking. Tonga Torcida (L) and Chintsomba (R) – our lion guardians – work tirelessly each day to monitor and keep Gorongosa’s lions out of snares. This lioness is Amelia, she was just collared this week and is pregnant. We will use the collar to keep an eye on her and soon her new cubs. We soon hope to welcome her new cubs in to the world! 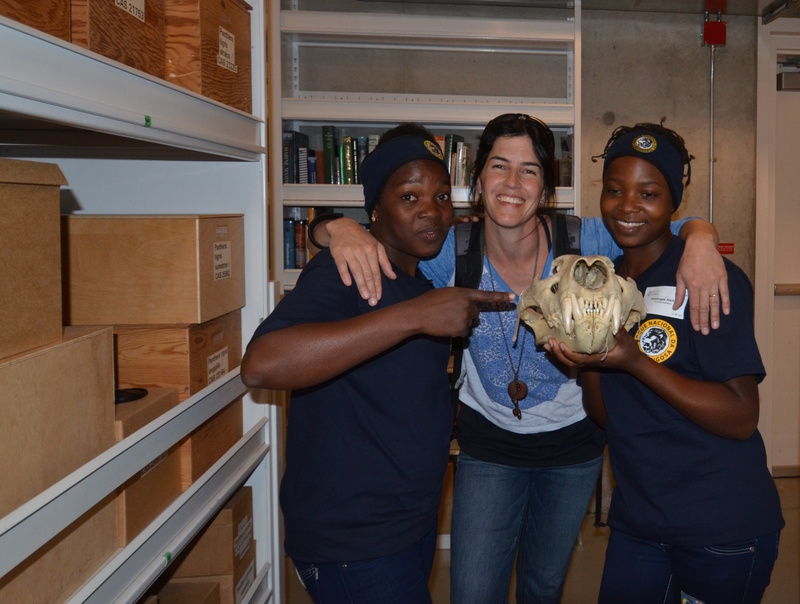 Tonga Torcida (lion intern) and Chintsomba (scout) help collar Amelia, a pregnant lioness. 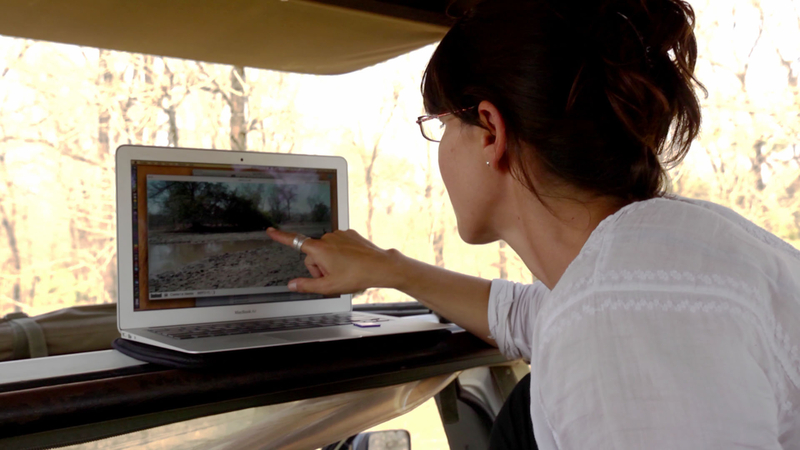 How we accomplish all that we do in any given day in Gorongosa… by working together. This morning Gorongosa Guides – Simba and Montinho – helped us check in on 2 groups of lions (while also sharing those sightings with guests to the Park). 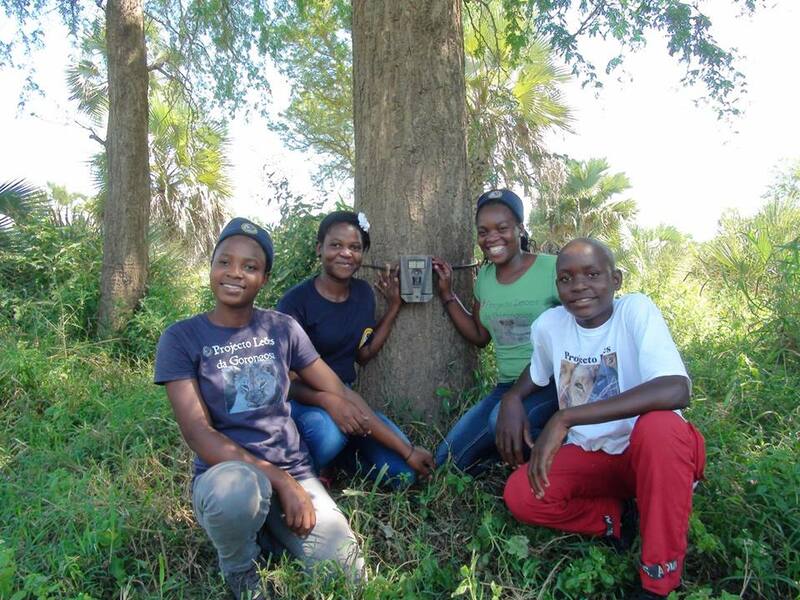 Thank you, Gorongosa Guides!